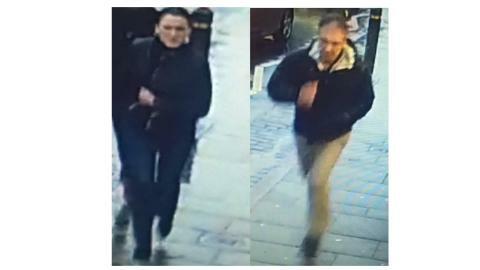 At 3.30pm on Saturday 15 December, two men and a woman entered Christopher Stephens Jewellers in the High Street. One man distracted a staff member, while another man and a woman opened the window display cabinet. Five diamond rings, five sapphire and diamond rings and two ruby and diamond eternity rings were taken from the open cabinet. A gold chain and other jewellery were stolen from the workshop area. A 33-year-old man from Salisbury was arrested and has been released while investigations continue. If you have any information about this incident, please call 101 quoting 44180466357.